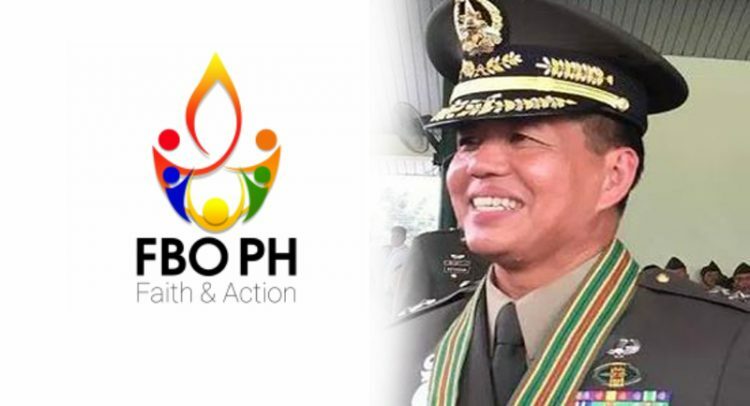 The Philippine FBO Forum, composed of the humanitarian arm of the faith-based organizations (FBO) – NASSA/Caritas Philippines, PCEC-Philippine Relief and Development Services, and the National Council of Churches in the Philippines, expresses deep concern on the impending appointment of an Army chief to lead the Department of Social Welfare and Development (DSWD). According to a presidential pronouncement on October 4, Philippine Army Commander Lieutenant General Rolando Bautista is likely to be the next DSWD secretary following his mandatory retirement on October 15. Bautista graduated from the Philippine Military Academy (PMA) in 1985. During the Arroyo administration, he served as commander of the 73rd Infantry Battalion covering Davao City and Davao del Norte. Under the Aquino administration, he led the Northern Luzon Command based in Tarlac. Bautista also served as a former commander of President Duterte’s Presidential Security Group and is currently the commander of the Philippine Army’s 1st Infantry Division in Southern Mindanao. His leadership was, then, extended up to the Marawi siege in May 2017. As the overall ground commander, he led the operations in the war-torn city from day one. It is very clear that the Philippine’ Army’s mission to organize, train and equip its forces for combat operations is very contrary to the DSWD’s mandate of providing social protection for the poor, vulnerable, and disadvantaged sectors. Rolando Bautista, although a seasoned military commander, has no proven track record and experience on social protection programs, social development work, and poverty reduction. Moreover, his military principles may possibly compromise the independence of social services and humanitarian action in poor communities and environments in conflict. The martial rule in the whole of Mindanao also led to human rights violations especially towards the most vulnerable sectors of our society, particularly the national minorities – Lumads, Moros and other indigenous peoples. Furthermore, forced encampments in communities and schools, food blockades, and other atrocities were reportedly perpetrated by the State forces, ensuing fear and insecurity to the people and clearly go against the humanitarian principles upheld by the department – to serve the most vulnerable on the basis of need alone, giving priority to the most urgent cases of distress and making no adverse distinction on the basis of nationality, race, gender, religious belief, class or political opinion. As faith-based organizations delivering services to vulnerable communities, we cannot entrust the social welfare agency to a military man whose main background is “counter-terrorism”. Thus, the three Christian Councils, being accredited humanitarian agencies by the DSWD and while recognizing the authority of President Rodrigo Duterte to appoint department secretaries in various government agencies, would like to solicit reconsideration of this decision from the Commission of Appointments to ensure that the department’s social services will not be compromised, humanitarian principles are upheld, and aid distribution will not be tainted by any military and political objective. We constantly pray that the government will do its responsibility to respect, promote, protect and uphold human rights, especially in the midst of conflict and disasters. We urge the humanitarian community and faith-based organizations to speak up and assert the universally-accepted principles of humanitarian action in the discourse. We call on our churches, social action centers and ministries, congregations, and partners to stay vigilant in these critical times, when our mission to serve the least of our sisters and brothers, is being threatened and undermined. NCCP is the ecumenical fellowship of mainline Protestant and non-Roman Catholic churches in the Philippines, and a member of the ACT Alliance, a coalition of 150 churches and church-related organizations in over 125 countries working together on humanitarian, development, and advocacy. PHILRADS is the relief and development arm of the Philippine Council of Evangelical Churches, the largest network of denominations, churches, mission groups and para-church organizations in the country. We work hand in hand with local churches nationwide in doing holistic ministry among the poor and needy. NASSA/Caritas Philippines is the humanitarian, development and advocacy arm of the Catholic Bishops’ Conference of the Philippines. We serve as secretariat to 85 diocesan social action centers in the country, and represents the Philippines to the global confederation of 165 Catholic charities – Caritas Internationalis.